"You are everything that a congregation could want from a visiting Artist-in-Residence--warm, spritual, uplifting, delightful, cooperative. I'd like to bring you here permanently!" "Doug was masterful in varying the tone of the show as he led us from laughter to tears and back again. There was something for every age, and subject. It was the perfect program for our occasion." Doug Cotler is a Grammy Award-winning composer and an accomplished singer, songwriter, and musician. No one fuses traditional Jewish melodies with the power and rhythm of modern popular music like he does. He performs more than 100 concerts each year. Blessed with a warm and expressive voice, Doug's sensitive and penetrating interpretations of liturgy as well as his insightful and humorous songs about Jewish events and heroes have placed him in the forefront of contemporary Jewish music. Few performers possess Doug's talents as a composer...and few composers can jam with the very best players. Doug's symphony, The Golem, was performed by the Seattle Philharmonic Orchestra...and he has also toured and played country, pop, and rock music with such well-known artists as John Denver, Jerry Jeff Walker, and Mason Williams. 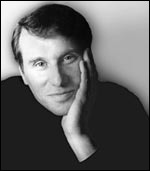 Doug has recorded six original Jewish music albums, with his 1984 Grammy being awarded for writing "Manhunt", a powerful song featured in the smash album and movie, Flashdance. He also has two songbooks containing all the songs from four of his recordings. From young children to adults, Doug's music appeals to a wide cross-section of Jewish music lovers. Listen, his breakthrough album, contains the hit song "Standing on the Shoulders". This expressive song has became an anthem used extensively as the theme for conventions, films, and religious services. Doug's other albums include: It's So Amazing! -- fun Jewish songs for all ages; Whispers In The Wind -- adult-contemporary songs on Jewish themes; Down Home -- an extraordinary amalgam of styles that Doug calls Jewish Bluegrass; Echoes -- Jewish-American popular classics written by others; A Rose In December, -- songs of healing and peace; his first live recording, Everyones Invited, and his newest -- Funny Jewish Songs -- the long-awaited compilation of oft-requested hilarious cowboy and beach parody songs (Doug is a surfin' cowboy, you know!). Doug's music is available for online ordering! With his father, a Cantor, providing training from the age of nine, Doug's professional career began at 14, singing in Southern California synagogues and Jewish Community Centers. When Doug's father passed away, he assumed his father's position as Cantor at a large reform congregation near San Francisco. Doug is currently the Cantorial Soloist at Congregation Or Ami in Calabasas, California. He earned a degree in Philosophy from St. John's College in Santa Fe, New Mexico. He and his wife Gail have two sons, Kyle and Noah. Doug is: a Jewish entertainer, a Jewish composer, a Jewish musician, a Jewish songwriter... and so much more. Doug is: available for community concerts as well as private affairs such as bar/bat mitzvah and weddings (he can even officiate if you want!). Doug is: at the forefront of contemporary Jewish American life, bringing people together through music.